Need a compact crossover ute with sharp looks, luxurious features, hefty power, and an impeccable safety record? Take a look at Volvo’s 2016 XC60. This 5-passenger, 5-door mini-ute underwent a significant metamorphosis during the 2015 model year, resulting in several upgrades that carry over into the upcoming version. Although Swedish-based Volvo has hinted at further slight alterations to the 2016 XC60, the big news is a new “Pay Once and Never Pay Again” lifetime warranty that covers every Volvo manufactured from now on. This plan means that once the factory warranty runs out on your Volvo (100,000 miles), you pay once for any repair (parts and labor) and all further repairs on that same part or system are free. As noted, the 2016 XC60 is essentially carried over from what the Swedes call the "2015.5" model year, during which the XC60 got a number of notable upgrades (and deletions). The old 3.2 AWD (all-wheel drive) trim, with its normally aspirated V6 powerplant, was phased out mid-year and replaced with the T5 AWD trim, which boasts a turbocharged inline 4-cylinder (I4) mill with considerably more power. The 2016 Volvo lineup is offered in either the T5 or the T6 variations, with both sub-divided into Drive-E and AWD designations and the T6 also offering an AWD R-Design sub-trim. Each trim is further divided into Premium and top-shelf Platinum sub-trims. The 2016 XC60 lineup returns with standard front-wheel drive (FWD), branded with the Drive-E designation. Full-time AWD returns as an option in the T5 AWD, T6 AWD, and T6 R-Design iterations. Power-wise, the entry-level 2016 XC60 T5 Drive-E--available with FWD only--packs a 2.0-liter turbocharged I4 engine that’s mated with an 8-speed shiftable automatic transmission. This combo puts out 240 hp and 258 lb-ft of torque and features fuel-saving automatic engine stop-start technology (which debuted in 2015.5), meaning the engine shuts down at a stop and restarts when the gas pedal is depressed. Mileage estimates for this I4 are again estimated at 24 mpg city/31 highway/27 combined. The T5 AWD sports a 2.5-liter inline 5-cylinder (I5) powerplant that was introduced midway through the current year. This forced-air I5 combines with a 6-speed shiftable automatic for 250 hp and 266 lb-ft of torque, with an estimated mileage of 18/25/21. Next up is the turbocharged and supercharged 2.0-liter I4 engine that comes standard aboard the FWD-equipped XC60 T6 Drive-E. Managed by the 8-speed shiftable automatic transmission, this super-force-fed powerplant puts out 302 hp and 295 lb-ft of torque, with included engine stop-start technology and mileage estimates of 22/30/25. The T6 AWD and the T6 R-Design both retain a 3.6-liter turbocharged inline 6-cylinder (I6) powerplant mated to the 6-speed shiftable automatic. But while the T6 AWD’s version of this forced-air I6 puts out 300 hp and 325 lb-ft of torque, the R-Design gets a tweaked variant that pounds down 325 hp and 354 lb-ft of torque. Look for mileage estimates in these two editions to remain 17/24/20. Standard profile features for the T5 trims include 18-inch alloy wheels, LED running lights, a roof rack, and heated power-adjustable outside mirrors. A power sunroof is included with the T5’s available Premier package, while the T6 R-Design editions sport standard 20-inch alloy wheels and upgraded exterior accents. The T5 and T6 Platinum sub-trims also come with power-folding outside mirrors. Inside, depending on the trim-level, look for T-Tec (premium cloth) or leather upholstery, power-adjustable front seats, full power accessories, memory for driver settings, cruise control, telescoping tilt-wheel steering, and keyless entry and ignition. Automatic climate control and Bluetooth hands-free calling and audio are expected to remain standard in all 2016 XC60 trims. Basic infotainment and entertainment for the XC60 includes a CD/MP3 player, 8 speakers, satellite radio, HD Radio, and an auxiliary audio input. Volvo’s Sensus Connect telematics will again come standard after debuting in the 2015.5 edition of the XC60 lineup, and will include internet radio and WiFi hotspot capability. The T6 R-Design trims also get an upgraded gauge cluster, while the T5 and T6 Premium editions add power-folding rear headrests and a power-folding front passenger seat. The XC60 Platinum versions pack a standard 12-speaker Harman Kardon premium Surround Sound audio system and a recently improved integrated GPS navigation package. Further trim-specific options for the 2016 XC60 stable include rear-seat DVD entertainment, upgraded leather upholstery, and genuine wood interior accents. An available Climate package boasts improved interior air quality, heated front and rear seats, and a heated steering wheel, while the optional Sport package adds sport front seats and unique 20-inch alloy wheels. Total cargo space in in all upcoming XC60s is slated to remain a fairly large 67.4 cubic feet with the rear seatbacks folded. Traditionally a standard-setter for safety, Volvo’s 2016 XC60 is expected to once again tote standard 4-wheel antilock brakes (ABS), traction and stability control, front side-mounted air bags, front and rear head curtain airbags, daytime running lights, and Sensus Connect emergency alerts and communications. A pre-collision safety system and a remote antitheft alarm also remain standard aboard all XC60s, bolstered by the optional Technology package with adaptive cruise control, front collision warning, lane-departure alerts, pedestrian detection technology with automatic braking, and the driver inattention alert. The current editions of this pint-sized Volvo crossover get a top-rated 5 stars overall from the National Highway Traffic Safety Administration (NHTSA), as well as a highest-possible overall rating of Good from the Insurance Institute for Highway Safety (IIHS). While a few owners of the current model year’s XC60 find it a bit small for their purposes, the overall reliability, generous standard features, and legendary Volvo attention to safety result in far more compliments than complaints. Look for the 2016 XC60 to go on sale in the fall of 2015, where it will again challenge Acura’s roomy and family-oriented MDX, Audi’s gas-saving and handsome Q5, and BMW’s fun X3 for high-end small-crossover supremacy. 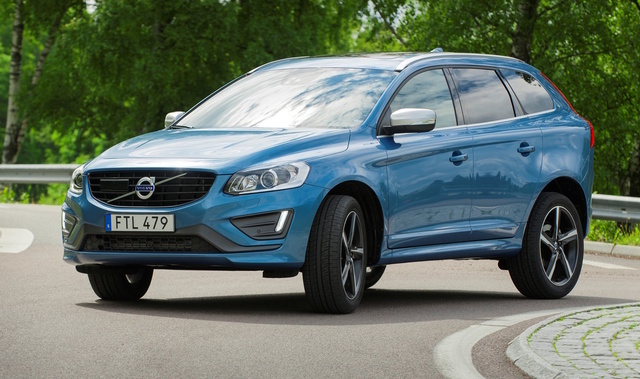 What's your take on the 2016 Volvo XC60? LMN1950 Since purchasing the 2016 XC60 T6 in Nov 2015, I have had every vibration imaginable...shaking, wobbling, jerking, shimmying, bucking,etc Cornering is quite problematic with seemingly loss of traction.. The dealer( Herb Chamber of Norwood,Ma) won't help, now saying they can find nothing wrong with the car ( this after it was documented car by a tech the 1st time I returned with the car. I also overheard a saleswoman and service rep commenting re: the vibration during phone calls to owners). I could not be more unhappy with a car or a dealership. I was offered a buy back at a loss of $6000. Anyone else experiencing the same? Have you driven a 2016 Volvo XC60?